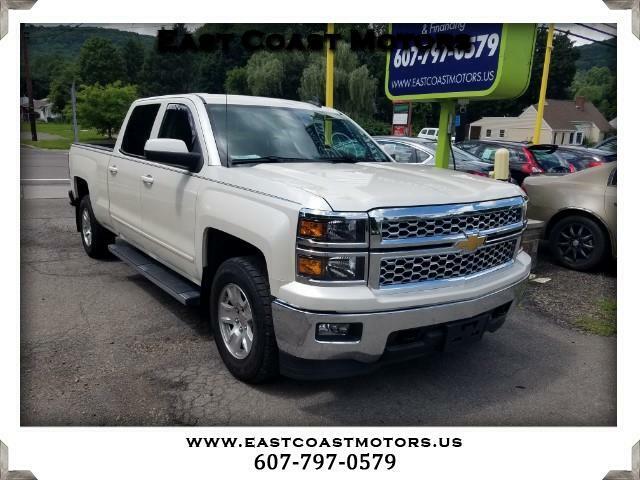 2015 Chevrolet Silverado 1500 LT Crew Cab Long Box 4WD. This Chevy Silverado has running boards, bed liner, back up camera, dual climate control, Bose sound system, and Bluetooth. Our staff would be happy to answer any of your questions. Please feel free to give us a call at 607.797.0579 anytime.